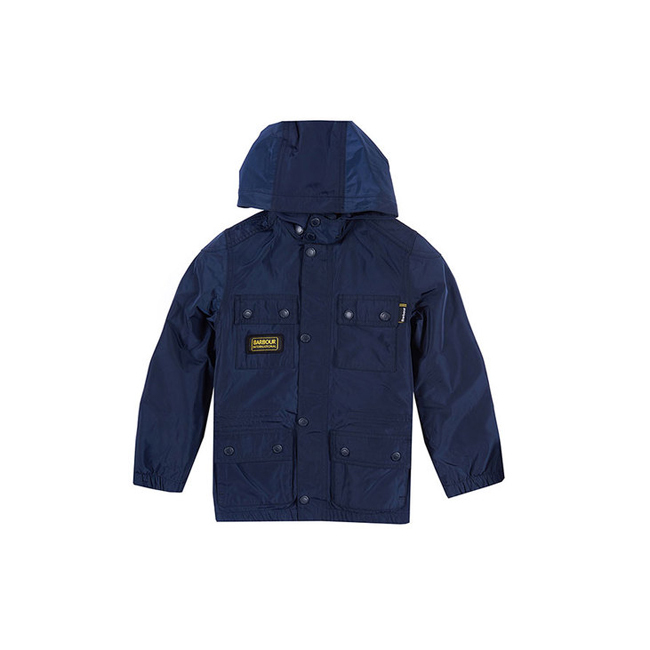 The Nyloc is a boys’ waterproof jacket inspired by Barbour International’s motorcycle heritage. This stylish jacket is brimming with functional features to make cold, rainy days more bearable. 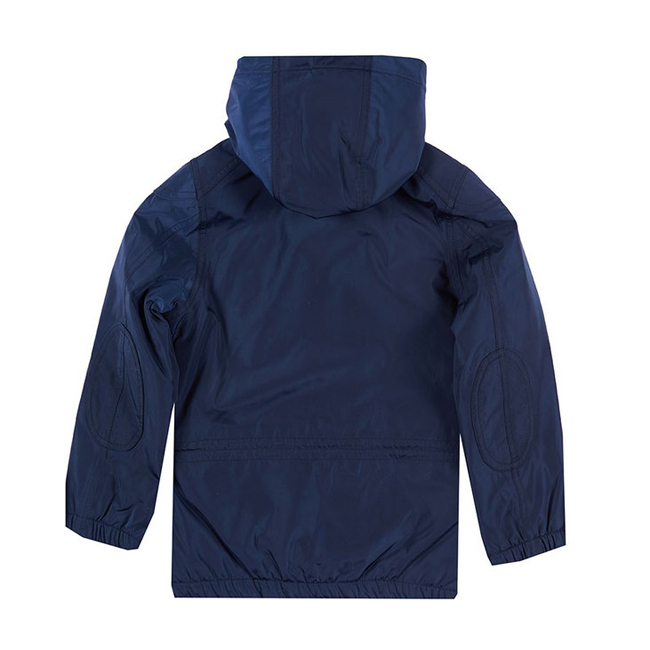 It’s made with a technical outer fabric that’s reliably waterproof yet comfortably breathable, plus a quilted inner lining that provides superb insulation and a flash of contrast colour. Elasticated hems and a shock cord through the waist ensure a snug, comfortable fit, while the generous hood protects when needed but can also be removed for a smarter look. 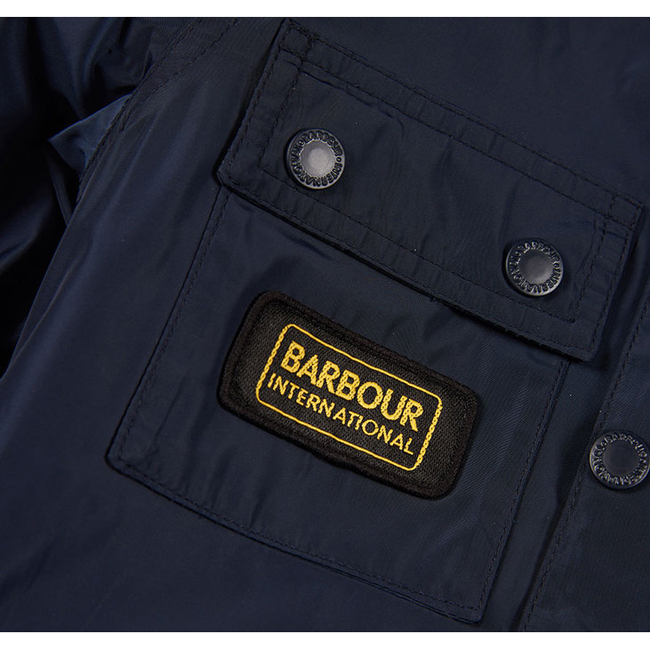 Four stud-close outer pockets create the iconic Barbour International look and add everyday practicality.